Drench your lips in EOS Shimmer Iridescent Lip Balm, a limited edition lip balm packed with a cocktail of nourishing and protective ingredients. 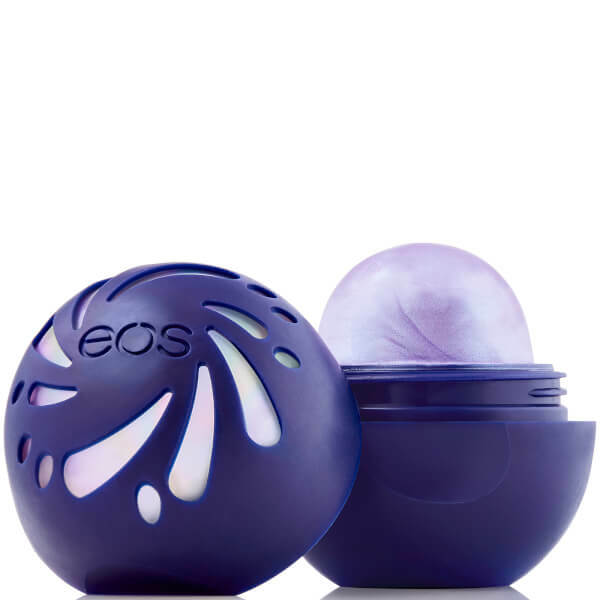 The mermaid-inspired lip balm delivers a hint of custom colour with radiant shimmer, and combines Shea Butter with Jojoba Oil and antioxidant Vitamin E to restore moisture and softness. 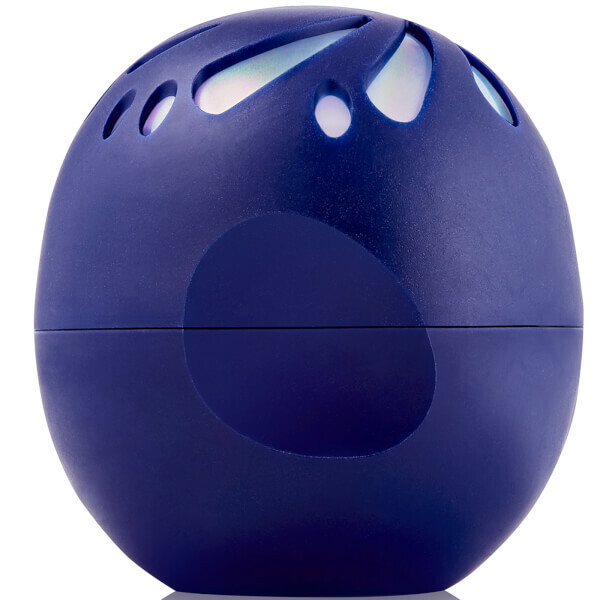 Gliding effortlessly over lips, the sphere lip balm delivers a veil of intense moisture to leave your pout feeling supple and smooth. Lips feel delectable and replenished. Housed in smooth sphere packaging for easy application. Helianthus Annuus (Sunflower) Seed Oil*, Beeswax/Cera Alba (Cire d’abeille)*, Cocos Nucifera (Coconut) Oil*, Copernicia Cerifera (Carnauba) Wax/Cire de carnauba*, Simmondsia Chinensis (Jojoba) Seed Oil*, Flavor (Aroma), Butyrospermum Parkii (Shea) Butter*, Ascophyllum Nodosum Extract*, Chondrus Crispus Extract*, Mentha Piperita (Peppermint) Leaf Extract, Olea Europaea (Olive) Fruit Oil*, Stevia Rebaudiana Leaf/Stem Extract*, Citral1, Limonene1, Linalool1. *Organic - 1 Component of Flavor Iridescent Lip Balm: Olea Europaea (Olive) Fruit Oil, Beeswax/Cera Alba (Cire d’abeille), Cocos Nucifera (Coconut) Oil, Octyldodecyl Neopentanoate, Natural Flavor (Aroma), Simmondsia Chinensis (Jojoba) Seed Oil, Mica, Butyrospermum Parkii (Shea) Butter, Titanium Dioxide (CI 77891), Calcium Aluminum Borosilicate, Chondrus Crispus Extract, Ascophyllum Nodosum Extract, Helianthus Annuus (Sunflower) Seed Oil, Ricinus Communis (Castor) Seed Oil, Tocopherol, Stevia Rebaudiana Leaf/Stem Extract, Red 28 (CI 45410), Blue 1 (CI 42090), Iron Oxide (CI 77492), Glycine Soja (Soybean) Oil, Silica, Hydroxystearic Acid, Anisyl Alcohol1. 1 Component of Natural Flavor.